Please note that above price is subjected to change and is for reference purpose only. Kindly contact Mahindra Nepal to get the latest showroom price. Note: Mahindra car & pickup price list was last updated on February 21, 2019. 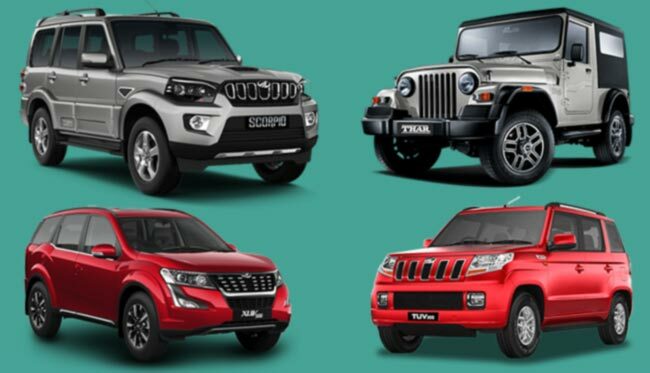 Mahindra Cars & SUVs in Nepal are distributed by Agni Incorporated Private Limited. Agni began its automobile business in 1991 as authorized distributors of Mahindra. It had an office and showroom in Kathmandu, and five offices in Birgunj, Chitwan, Bhairahawa and other places. It started by selling tractors and MUVs. Launch of Armada in Nepal is what Mahindra see as game changer in their growth path, after which they never had to look back. Today, it is the leading utility automobile distributor in the country with Scorpio being the most favorite of their product. Agni has an extensive network with 45 dealers and branches across the country. It has robust after-sales service network and highly trained manpower. Mahindra, in partnership with Agni, excels with the motive to offer mobility, convenience and freedom to the day life of people in Nepal. For which, they strive to provide exceptional products & services. It has wide variety of cars, SUVs and utility vehicles which includes Scorpio, XUV, KUV, TUV, Thar, Bolero etc. Currently, Mahindra in Nepal is eyeing into the electric car market segment as well. Also, you can message us your queries regarding Mahindra car price in Nepal or its specifications at our Facebook page.